"We are not driving through Chicago!" my companion had shrieked, setting her little pink lips into a pout and digging her feet in. (Quite the feat really, considering the fact that we were driving in the car at the time). "It's bad enough that you've got me staying in a cramped little Army tent, and I'm not gonna... blah blah blah, waka wak waka..." Somehow I managed to block her squealing out of my mind and set SIRI to finding me an alternative route through the wilds of Indiana. This is easier said than done, and I'm going to recommend to someone out there that they create a driving app that will bypass major freeways and big cities, because SIRI and Google Maps both struggle with that little task. So, we spent the first night in a neat little campground called Beaver Point Campground just west of Kokomo, Indiana off of route 22. This campground has all of the amenities that you could possibly need in a campground, (a paylake and a liquor store within 20 miles). And we re-evaluated the goals of our trip at this point. 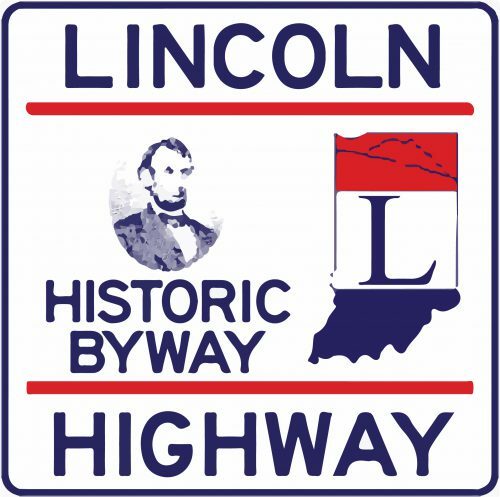 Here is the problem with traveling the historical Lincoln Highway, or any other historic highway for that matter; they don't exist anymore. Now, don't get me wrong, I appreciate Harry Truman's New Deal just as much as anybody else does, but when he created the Interstate system, he really should have kept them away from the current highways. Because, in effect, he completely fragmented the old travelways. Take route 66 for instance. America's Highway has become America's collection of 20 mile stretches that are periodically interrupted by 40 miles patches of Interstate travel... not fun at all, especially when you are traveling with someone who has a phobia regarding big cities and superhighways.